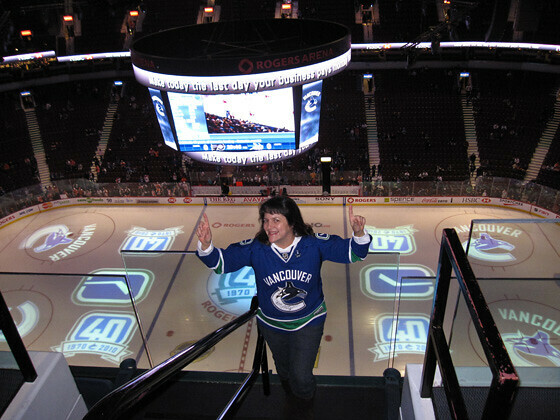 It’s exciting enough to be able to attend the occasional Canucks hockey game, but being able to experience it inside a private suite is a rare treat. 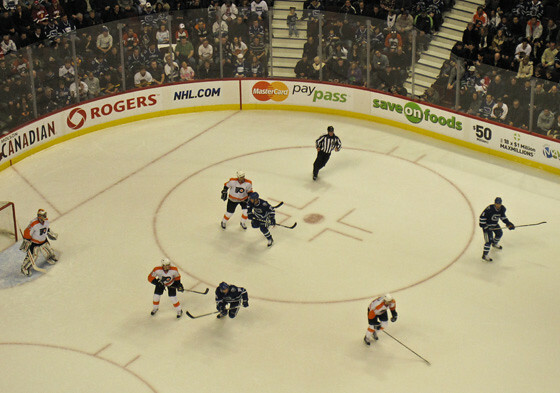 I was invited to the Canucks vs. Flyers game last night as a guest blogger, courtesy of Metropolis Hot Seats, a promotion organized by Burnaby’s Metrotown Mall. The tickets are not for sale. They can only be won by filling out a ballot at Metrotown’s Customer Service desks at the Upper level near Claire’s and on the Ground level by Forever XXI. 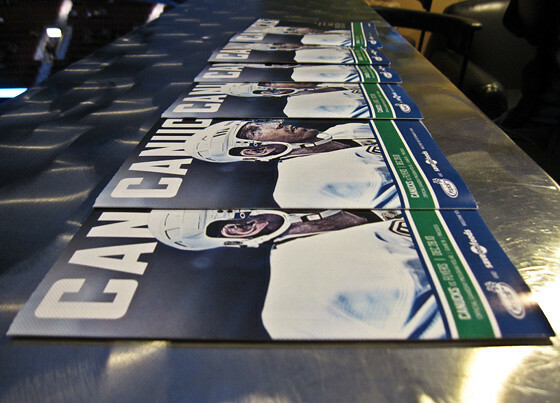 A handful of winners are chosen at random to experience a fully-catered suite at Rogers Arena. 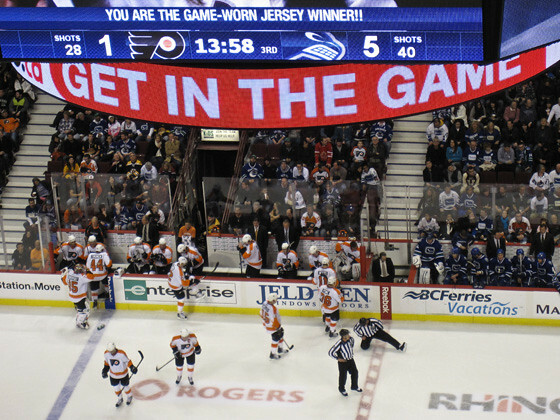 The prize can include either a Canucks home game or a concert. 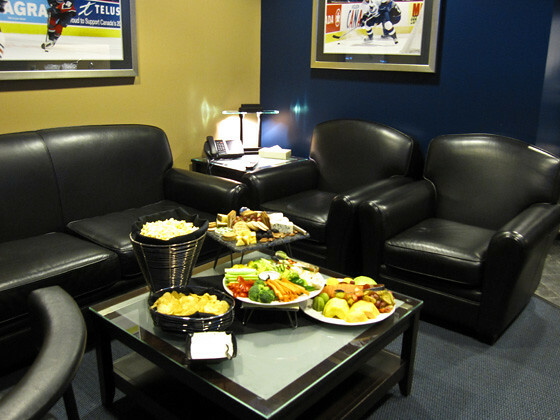 The program kicked off in late August, hosting shoppers in one of their two 500 level suites. 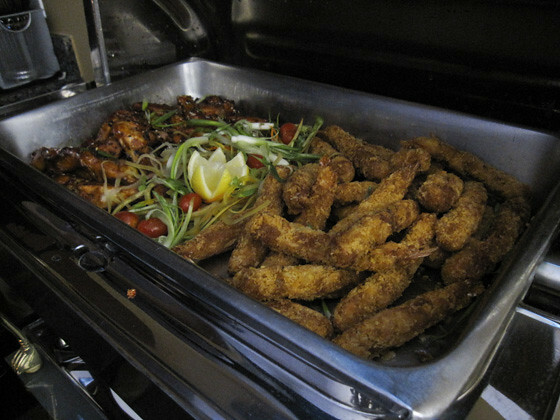 Some lucky winners have previously attended Lady Gaga, Michael Buble, Alice in Chains, Backstreet Boys, and other major acts, all enjoyed from the luxury of one of these catered suites. 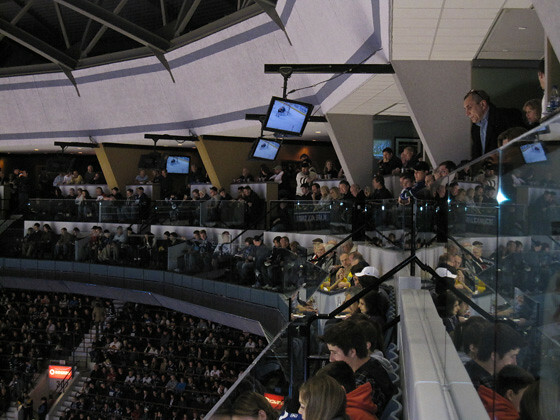 Seated high up in the 500 level suites offers a commanding view of the entire rink. 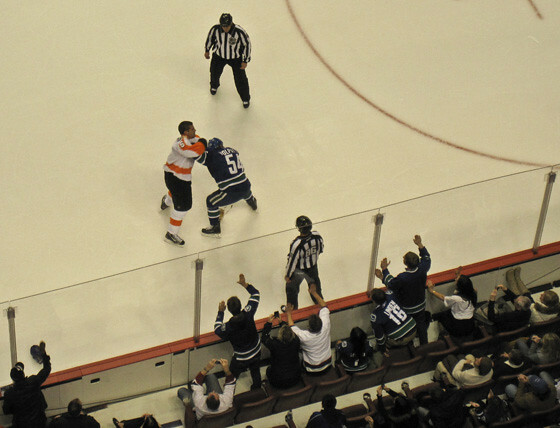 I thoroughly enjoyed the bird’s-eye perspective, watching all six Canucks goals, a couple of nasty fights, and everything in between. 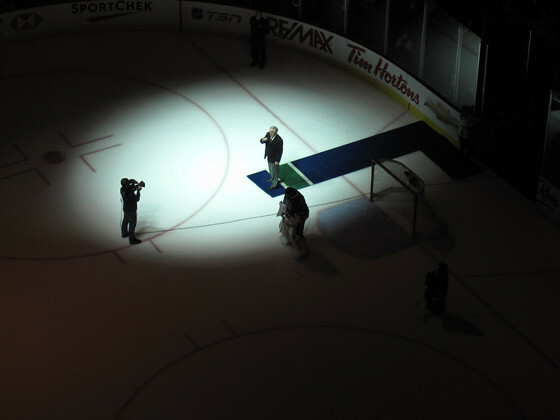 Even watching the national anthems being sung was special from this vantage point. 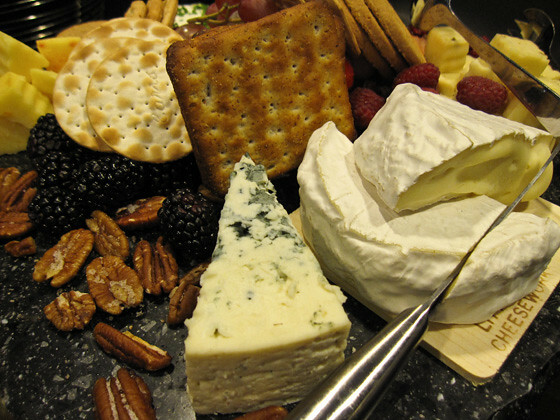 We were welcomed to the suite with plates of gourmet cheeses, nuts, fruits, and veggie plates. 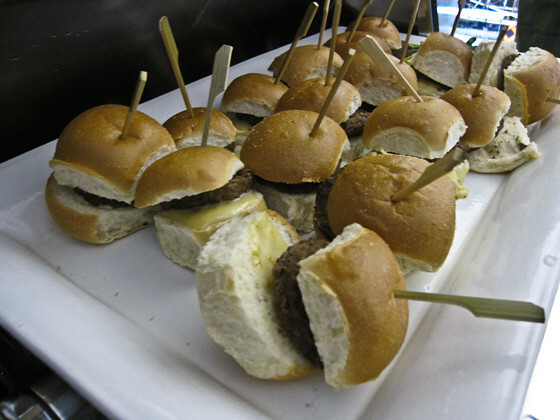 Once the game was underway, mini-sliders, wings, shrimp sticks, and other warm and cold snacks made their way into the suite. At third period, a plate of warm cookies was brought in. Between the private washroom, coat closet, and (non-alcoholic) drinks, there was little lacking in this luxurious setting. 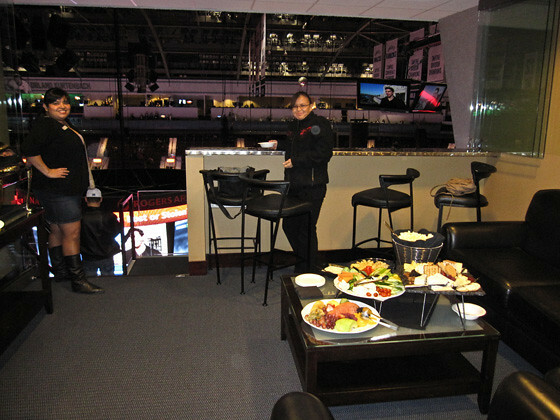 Suite winners to either a concert or hockey game are ineligible to win for the next 90 days. That can still add up to a few games and concerts per year. The next time you’re at Metrotown Mall, make the time to fill out a ballot. I’m still reliving last night’s experience! So THAT’S how you do it! I’ve got an excuse to head to Metrotown and get the ball rolling! Wow, wish I could have been at THAT game. Looked great on TV. I don’t live too close to Burnaby, but I hope to make it over to Metrotown one of these days and will surely enter this contest. I entered this last month. I hope they pick me next! What an excellent way to see a game! Great photos too. Sounds like everything is included. Is it also possible to get a drink somewhere there? Or do you have to go down a level to 300 area for a beer? 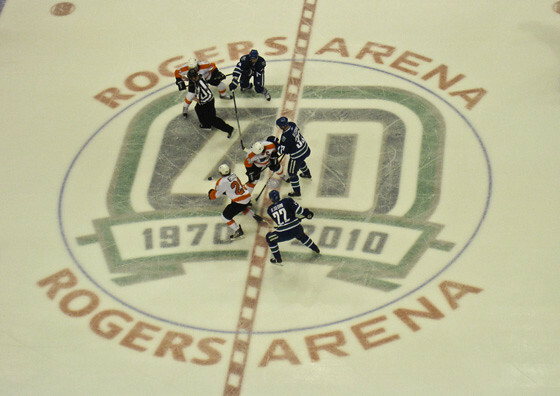 I think I heard somewhere that the Canucks did well in that game – can’t say they did very well in the game I went to while kicking it back in a 500 level suite (pre-season Canucks/Flames split-squad game). @Chris – I switched between the table above the two rows, and sitting on the steps off to the side of those rows. I know of a couple of women who were a bit scared to walk down the steps close to the glass. Guess it’s not for everyone! @Georgia – I believe the 300 level was the area to head to for a glass. No wonder I couldn’t locate you in the stands…you weren’t in the stands like us commonfolk. Great bird’s eye view and some great shots of the game. @Bennett – That’s why I kept saying “look UP”! LOL. Thanks, I enjoyed taking those shots. The bird’s nest height gave me a different perspective than usual.